In 2017, it’s expected that over 268 billion apps will be downloaded. But the reality is that a vast majority of those apps will be uninstalled shortly thereafter—within a matter of hours for most. The industry standard for app retention is around 20 percent at 72 hours post-install. That means 8 out of 10 people will uninstall your mobile app at some point in the three days after they downloaded it. By the time the 90-day mark rolls around, that 20 percent figure is slashed to just five percent. Understanding precisely why your users are deleting your mobile app is key, whether you have a stand-alone product, a B2C, B2B or enterprise app. Why do some uninstall within a matter of hours, when others wait days or weeks before ultimately pulling the plug? And what does it take to increase your user base? Enter: uninstall data. These key analytics provide the insight required to achieve better staying power, successfully improving app retention rate, and enhancing your overall UX. If you’re making your app available for download in the various app stores, you’ll have access to a few tools and analytics, which include data on uninstalls. In Apple’s App Store, you can use a simple API to make sense of this data, filtering by a timeframe (i.e. the past 30 days). This can be especially useful in determining whether there’s a correlation between uninstalls and specific events, ranging from a recent app update to the launch of a new competing app. The Google Play Store also offers uninstall data, but the data is far less refined. Developers can only access raw figures. While this data lacks much of the context provided by Apple, it can still be useful for tracking deletion rates over time. In fact, many larger developers craft their own analytics interfaces designed to process and analyze the data. You can filter and organize the numbers in a way that offers far greater insight, such as device or operating system specific trends, regional trends, and even trends amongst certain age groups and demographics. Unfortunately, app store data is fairly limited compared to the data you might get with other methods, such as our next solution: an integrated uninstaller or packaged uninstall applet. As more and more companies recognize the importance of uninstall analytics, an increasing number of people are working with developers to integrate an uninstall feature as part of the app’s core framework. For existing apps, some developers may choose to create an uninstall applet that runs in conjunction with their primary mobile application. This micro-application is installed as a “package” with the primary app interface. Whatever approach you choose, you’ll give users the ability to initiate uninstalls from within the app. When this occurs, you can present the user with a multiple choice menu, allowing them to cite the reason for the uninstall before they proceed. Let’s examine some common reasons for mobile app uninstalls. It didn’t perform as expected – This tells you there’s a need to refine your app store description and marketing materials so users know exactly what your app offers. I found a better app – This is a sign you need to reconsider your app’s features and its overall level of competitiveness. I don’t need it anymore – If your app fulfills a very precise or uncommon need, you could find that users ultimately delete the app to free up space on their devices. This may be a sign that you need to expand the app’s capabilities so it remains relevant in the long-term. I encountered technical issues – This can signal that your app is in need of more QA testing. Ideally, your uninstall feature or applet should gather data on the user’s device type and OS so you can troubleshoot more effectively. The app generated too many notifications – This signals a need for greater user controls, giving users more options for silencing, limiting, or filtering alerts and notifications. If you already have these measures in place but still get complaints, that’s a sign you need to make the notification management area more prominent. In-app purchases were too expensive – If a user needs to make an in-app purchase (like buying a membership or subscription) to access some or all of the UI’s features, a high uninstall rate could signal that your pricing is too high. Rather than lower prices, some developers offer a discounted rate during the uninstall process in an attempt to retain users who select this reason. Too many advertisements – Aside from a higher-than-ideal ad volume, you could also suffer from poor ad placement. If people uninstall for this reason, it’s a sign you need to re-think your monetization strategy. Many circumvent this issue by offering a paid, ad-free version of the app. Other – You always want to include an “other” field in your menu, ideally with an area for user comments. This provides you with useful insight in cases where users are uninstalling your app due to a unique or uncommon issue that you may not even realize exists. There are dozens of reasons why a user may uninstall your app. Your developer can gather data to help you understand precisely when and why this occurs so you can implement measures to increase app retention. There are a multitude of other creative ways to monitor actual or probable mobile app uninstalls, as well. Another uninstall monitoring method involves beaming out silent push notifications. These notifications will trigger a particular response if the user has de-registered and the app is no longer present on a user’s device. So if you send out notifications to 100,000 devices and 20,000 of those devices return a specific response, your developer will know that those 20,000 people no longer have the app. By monitoring app retention rates and uninstalls, you’ll be better equipped to refine and enhance your app in a way that will generate positive results. There are many reasons why users uninstall mobile apps and many issues can be avoided by turning to a team of experienced developers to build your application. By constructing your app with a solid foundation, you’ll maximize your retention rates from the beginning. Our world-class team of developers knows what it takes to build an app that’s engaging, user-friendly and appealing to your target audience. We can also perform an overhaul if your app is struggling to retain users. Our unique development platform, STAX, allows for a faster, more cost-efficient mobile app development process. 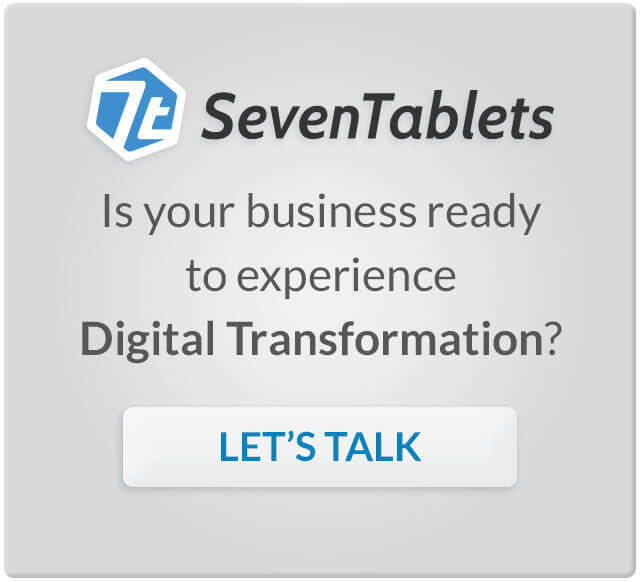 Contact SevenTablets today to discuss your project.